It seems a local company is not stopping and is looking forward to begin 2019 with a drive that will complement the effort, dreams and aspirations of learners, parents, schools, book authors and that of the Ministry of Primary and Secondary Education. Taking a new approach to instances of ICT in education, Designetics (Pvt) Ltd believes that DotEDU platform will play a pivotal role in improving pass rates in schools, bridge the learning divide and strengthen inclusion of parents in the day to day education of their children. Special features of the mobile application shows child monthly growth rates which will help parents monitor and evaluate their child performance without waiting for the consultation day. The application has also a feature of examination results which will put parents ahead and aware of their child tests and exam results without waiting for end of term report books. The application has an Inquiry provision which allows a parent/guardian make enquiries to the school and get instant a response without any need of traveling or calling the school. To enrich learners through dissemination of the new curriculum content, DotEDU mobile application provides read-only books accredited for learning purposes thereby enhancing access even where there is shortage of book materials. The Directors of Designetics believe the DotEDU mobile application will not confine learning within the walls of the classrooms but will extend the scope and duration of learning in an environment free from the evils of surfing the internet. Mr Richard Chirume, Deputy Director of Junior Education in the Ministry of Primary and Secondary Education delivered the Hon. Minister of Primary and Secondary Education, Professor Paul Mavima’s Speech, “The Ministry has adopted the competency based curriculum which also requires that our learners be ICT compliant. All our schools have embraced ICT as one of the learning areas so dotEDU has come at the right time. It is my pleasure as the Minister of Primary and Secondary Education to acknowledge the importance of dotEDU in improving the education sector through its simple, accurate and verifiable technological service provision. This resonates with sustainable development goal number 4 in providing and promoting quality holistic infant, junior, secondary and non-formal education. The dotEDU application will also play a pivotal role of improving pass rates in schools and reducing dropouts. It is our hope that through the application, financial management in schools will improve. 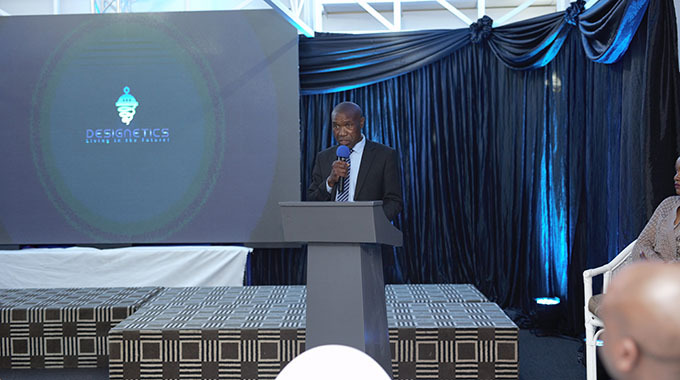 Designetics (Pvt) Ltd is an ICT company visioned and incubated by Mr Lovemore Chirongo to implement ICT related infrastructure and solutions that improves the day to day lives of African people. 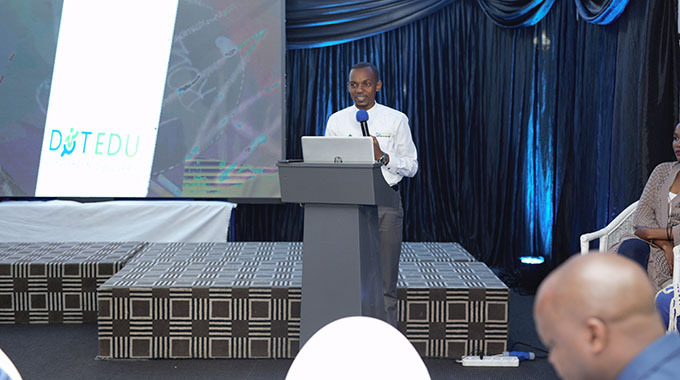 “It is a great privilege for us to present such a useful and innovative platform to the nation of Zimbabwe where we believe we are not only making a positive impact to learners, schools or parents but also to learning content creators and text book authors through strategic partnerships that will empower them and give exposure to their materials”, said Mr Lovemore Chirongo the Founder and CEO of Designetics (PVT) Ltd.